Just like a traditional photo booth only it is open on all side and allows for guest to move about, jump, horseplay, and be wild. The sky is the limit! 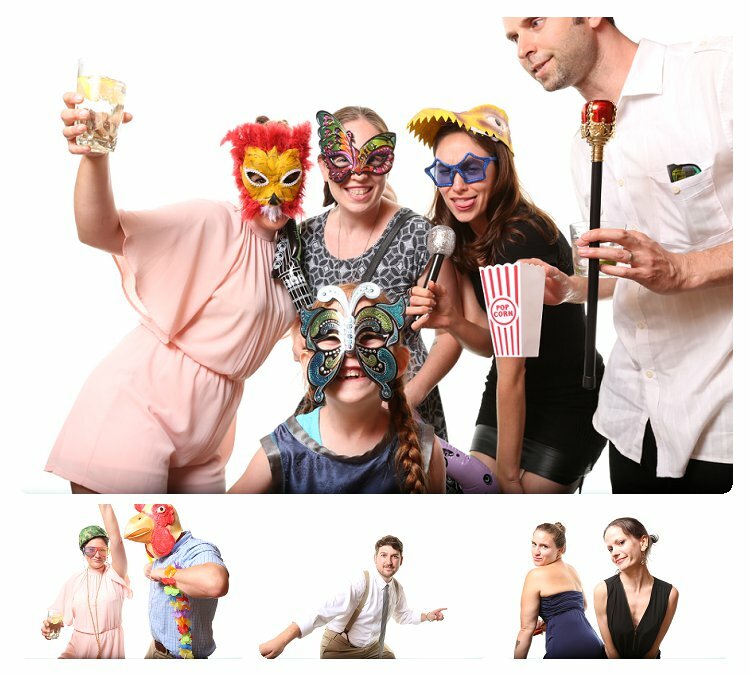 Do you have any specialty photo booths? We do! 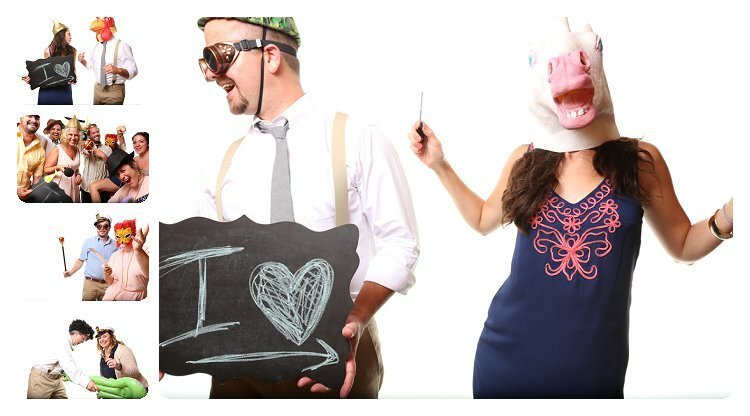 Click here to learn about our Alternative photo booths or here for our Polaroid Booth. How large is your photo booth? Is your photo booth an iPad? The guest with the remote or the photo attendant. The remote is wireless and small, we encourage guest who are in the booth to use the remote. As many as you like! No really we can handle it no problem. How fast can I take pictures? 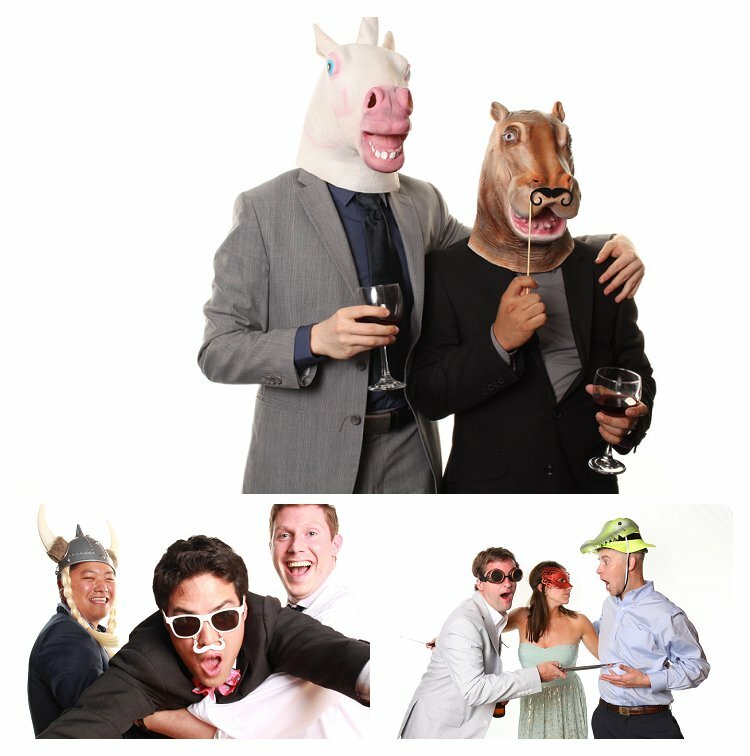 This really sets us apart from 99% of other photo booths. You can take as many photos as fast as you can press the remote. This allows for you to create animated gif files as well. Yes, we can set the booth up to cater to adults, kids, or all guest! 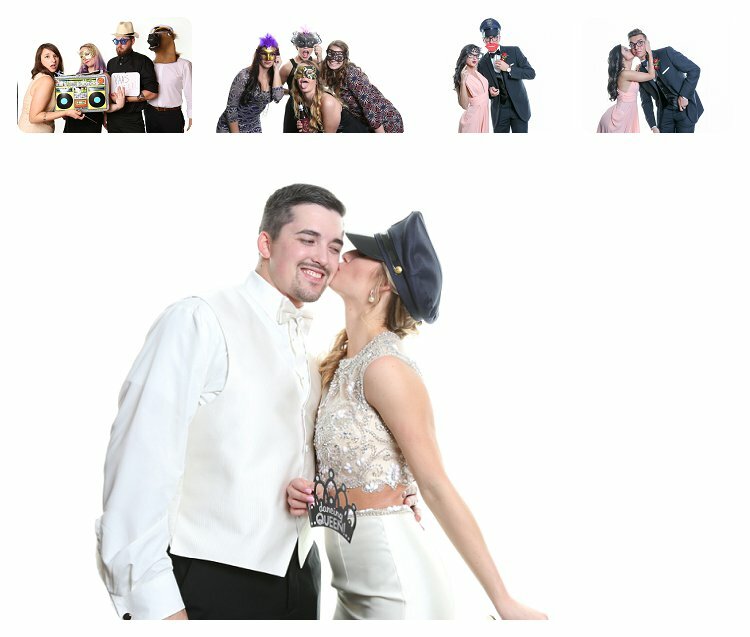 The number of individuals in the photo booth at one time is limited only by the size of your backdrop. Example – If you choose to use a large brick wall as your backdrop you are only constrained by the number of people who can fit into that area. The attendant will make sure everyone is in the picture. Do you have any other backgrounds? We have an assortment of background ranging from completely white without shadows, retro patterns, to modern designs. Can I bring my banner? Can you print the pictures? Yes. We print on dye sublimation printer which means the photos are ready to handle and will not smudge immediately after printing. It is a much tougher print. Should we get a printer? While this is a personal choice, we have found that the following works best. Small children enjoy the printer, and the print does not discourage photo booth usage. They run around and jump back in with the print in their hands or just hand them off to someone else. For adults and teens, we have found once they have a few prints participation goes way down. Guest tend not to get back in the booth once they have photos. Maybe because the printer takes 30 seconds longer or maybe because they have the print in their hand. Yes, Yes, Yes. Instant social sharing is the way to go. You can instantly share the photos via Email, Facebook, Instagram. Guest can even come back later in the night, and share photos that were taken hours earlier! Can you stream on Instagram? Under 30 minutes under normal circumstances. In a pinch, we can get it up and be rolling in 10 minutes. Thousands, let us know what you need! 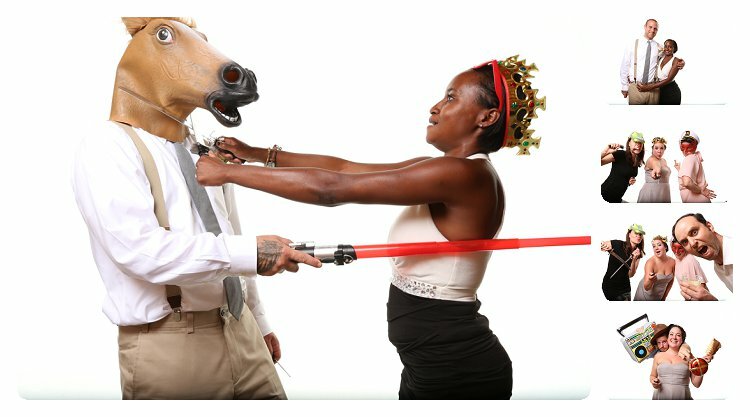 We are having a themed party, do you have themed props? Guest return the remote and pick up the iPad and email the photos to themselves or share on social media. Are your photos HD or High Definition? Yes, our photos offer incredible detail at much higher resolutions than typical carnival booths. We can; we like VSCO filters. Do you provide Black and White photos? Do you provide Monochrome pictures? Yes, we do. Monochromatic photo booth pictures up to 50 megapixels! Yes, for humanitarian nonprofits just get in touch with us. For example, we did a photo booth for Shiners Children’s Hospital, we love working with people and companies trying to make the world a better place, and we are always willing to give back! We are very thankful to all our friends who use our services that allow us to make this happen!